Zach Galifianakis is best known for his role in the Hangover movies; a trilogy of films all following a group of guys who are old enough to know better, but still go out drinking and partying anyway. It’s fair to say the movies are laugh out loud funny, and really cemented Galifianakis’ reputation as a great comedian. But comedian’s are easily pigeonholed, and while some are happy to continue playing variations on the same role, Galifianakis has branched out. He can currently be heard on the big screen as the voice of The Joker in The LEGO Batman Movie; a role fits so well that it makes you want to see what he’d actually look like in the part, too. Aside from that, he can also be seen on the small screen in FX’s Baskets, a show he created with fellow comedian, Louis C.K.. 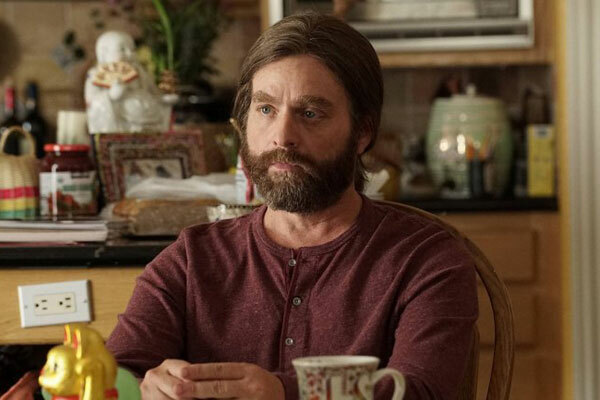 Taking the central role, Galifianakis plays a clown school dropout, who has moved back home, and now spends his time trying to one up his twin brother as they vie for their mother’s attention. While essentially a comedy, Baskets is at times quite dramatic and bleak. In fact, like all good comedy, it borders so close on being a tragedy that sometimes it’s hard to distinguish between the two, Galifiankis acknowledges that it’s not to everyone’s tastes, but for him as an actor, he wanted to move into more dramatic roles.